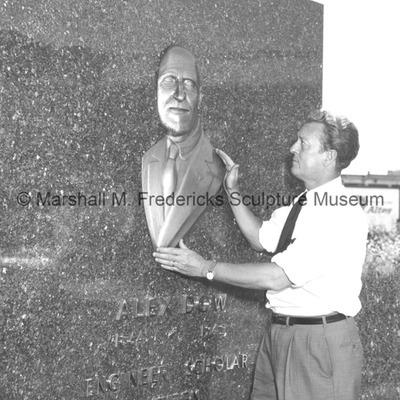 View of "Alex Dow Portrait Relief"
Alex Dow was a Scottish-born US engineer. 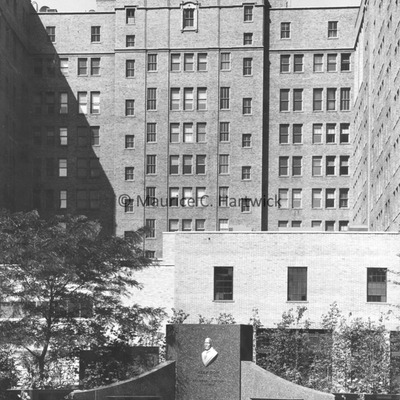 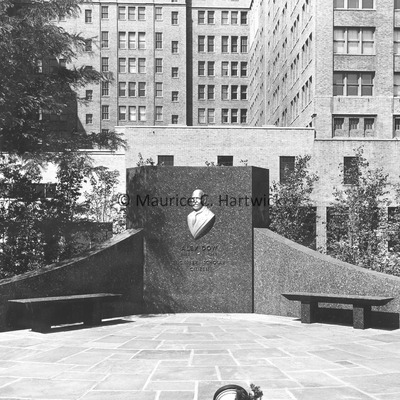 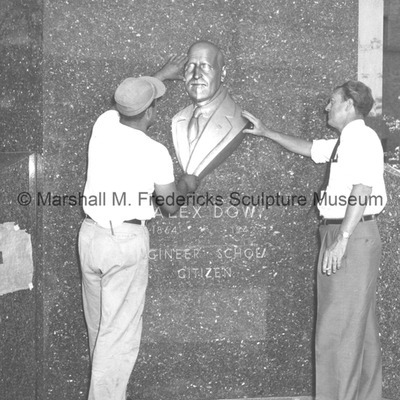 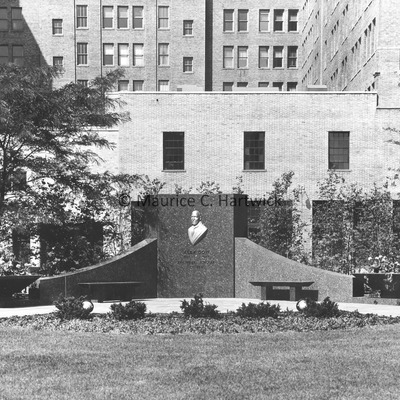 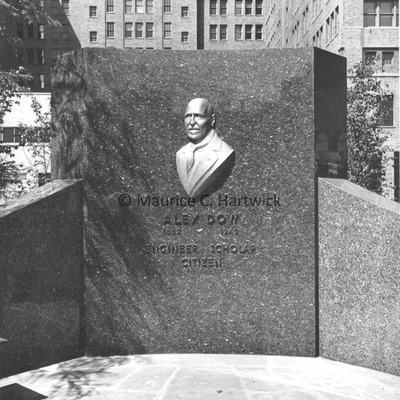 Dow was the plant's first manager and electrical engineer for the city of Detroit. 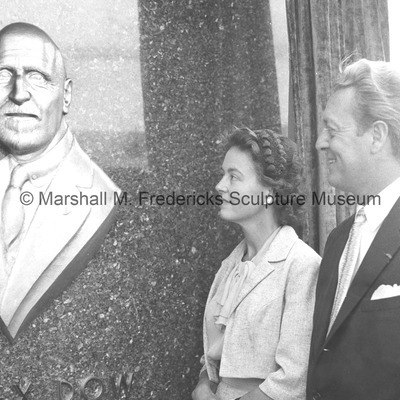 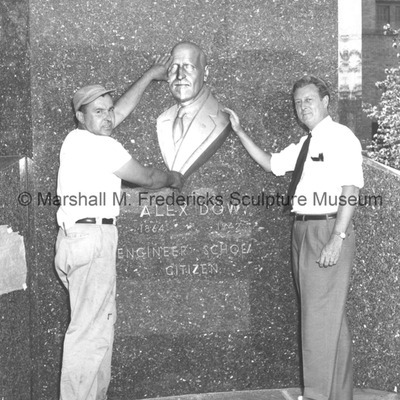 Rosalind and Marshall Fredericks admire the "Alex Dow Portrait Relief"
A worker and Marshall Fredericks pose with the "Alex Dow Portrait Relief"
Marshall Fredericks admires the "Alex Dow Portrait Relief"
Marshall Fredericks and a worker position the "Alex Dow Portrait Relief"